Here are some go-to looks that every boho girl should have in her closet. The boho style is one of my all time favorite fashion looks. It incorporates the best pieces from the 1960s and the hippie movement while also keeping it casual, fun, and carefree. It’s not afraid to incorporate loose styles and bold colors. 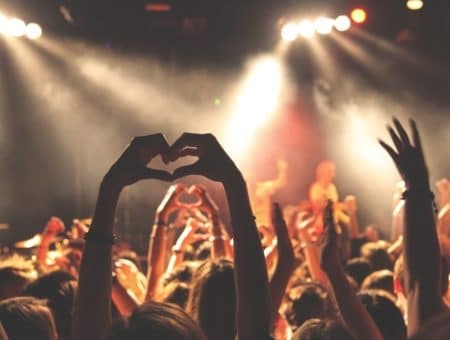 When you think of bohemian style you may think of what most people wear to music festivals such as Coachella. This is a great start for bohemian basics but the style goes further than that. If you’re trying to wear more bohemian styled clothes what are some classic outfits that would fit the look? 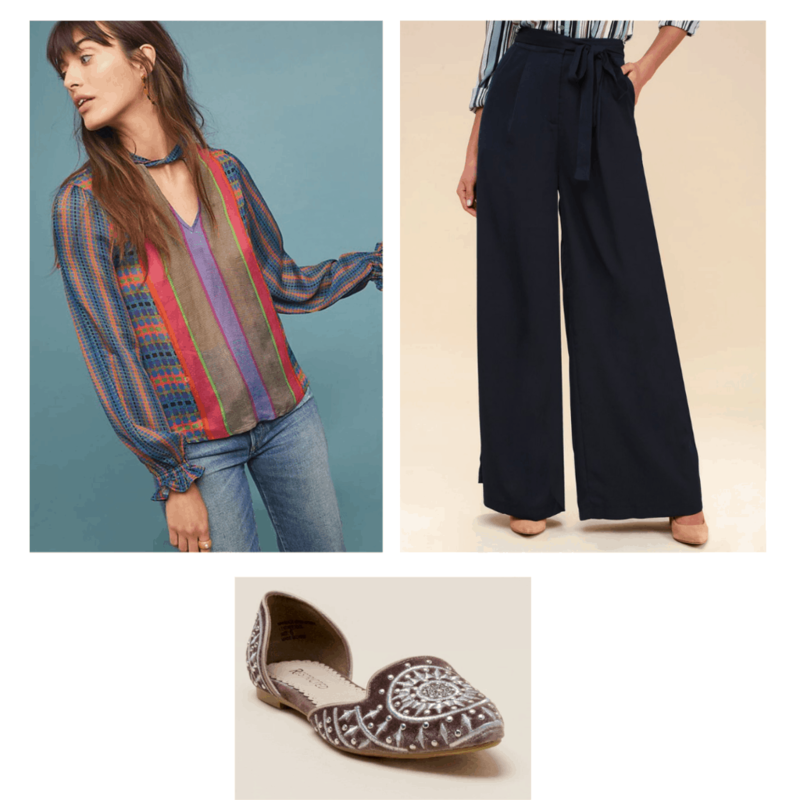 Below are four boho outfits that are perfect for anyone looking to spice up their closet with some bohemian clothes. I love the bold colors in this outfit and the way that the earrings match the kimono! 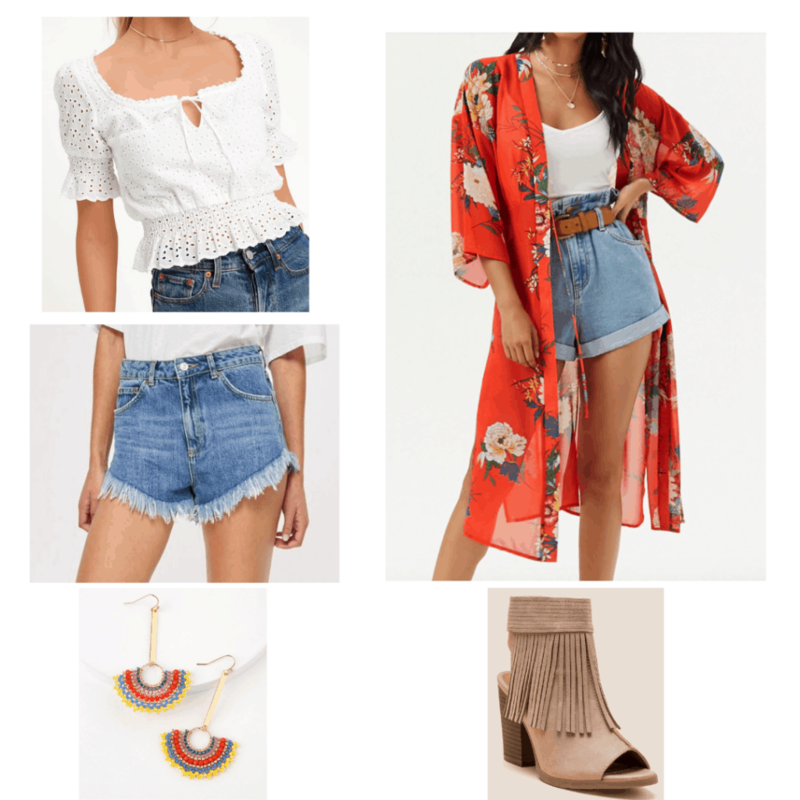 This is a great outfit for the bohemian style because it incorporates a carefree attitude with the shorts, lace, cropped top, and colorful earrings and kimono. The fringe on the boots is a nod to the 1960s as well. This look is perfect for when you’re trying to be casual such as going to class or hanging out with friends. The bohemian style is known for its bright pops of color — and this look certainly has that! The dress and jean jacket pair perfectly, while the long necklace will accentuate the low cut of the dress. Finally, the shoes and purse give off that bohemian vibe. This outfit is great for going out — although if you are planning on going to a bar or a club you may want to incorporate some other wardrobe pieces to dress it up a bit more. This outfit is great for business casual while incorporating elements of the bohemian style. The bright pops of color from the shirt allow for a fun vibe while the pants keep it a bit more professional. The shoes tie the whole look together by bringing in colors from the shirt. If you’re a bohemian girl looking for a boho formal outfit then look no further! This dress is perfect for the bohemian girl because it is loose and comfortable while also having a beautiful bodice that brings in some of the common bohemian themes. The colors of the purse bring some light to the outfit while the wedges are perfect for brining it all together. This look gives off carefree vibes which is great for the bohemian girl. What’s your favorite boho outfit? 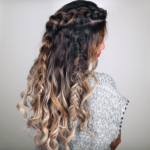 Have you tried out any of these looks? Let us know in the comments! The bohemian outfits are a great way to show how fun and easy going you really are. When I think of bohemian outfits I think of the relaxed girl who is always ready to have a good time. 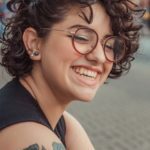 These four looks above show off the bohemian look while still keeping it trendy and fashion forward. 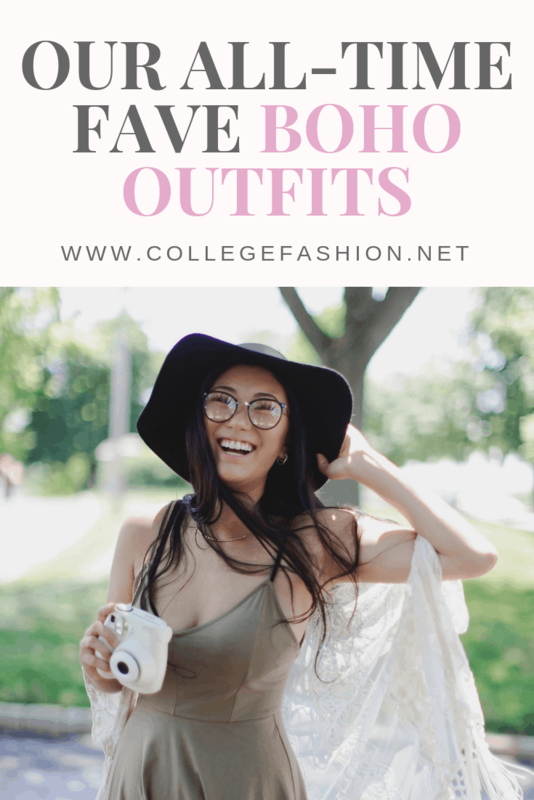 For more boho ideas, be sure to see our post on boho outfits for class. Now we want to hear from you! Do you have a bohemian sense of style? 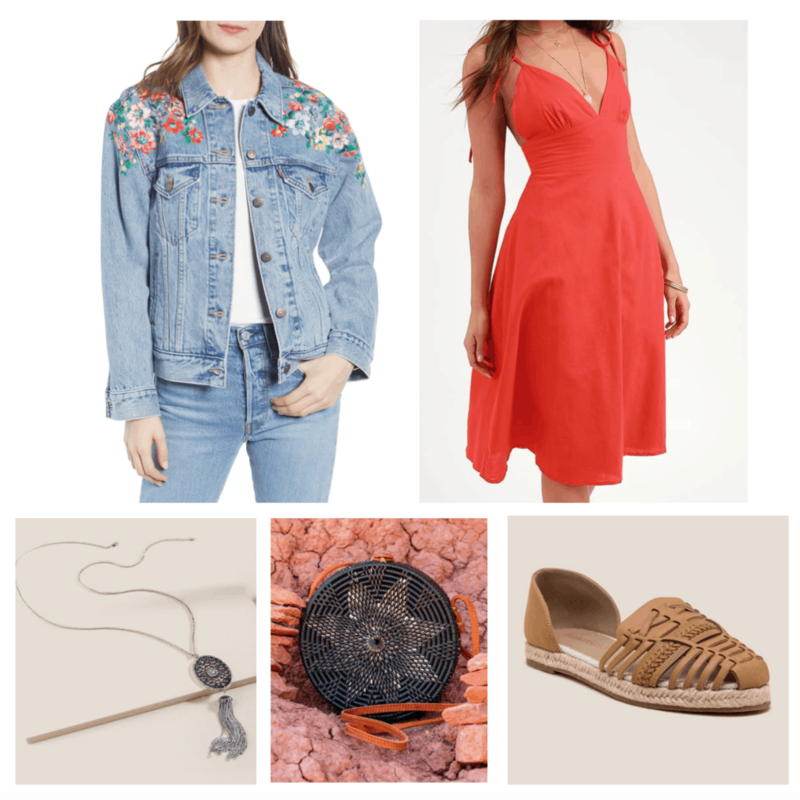 If so, what are your go-to boho outfits? What do you think of these looks? Tell us in a comment below.